Hi friends! Although a new school year is right around the corner, I’m going to try to keep up with my summer reading habit. I say this at the end of every summer and it rarely lasts, but nonetheless, I’m looking forward to it! 😉 Here’s what’s on my list. Happy Friday! During the #NSale I picked up a GloPro that I’ve been using in tandem with my jade roller. I’ve had so many friends ask me about it so I wanted to break down all the details about facial rolling. Hi friends! Happy Nordstrom Anniversary Sale Day! 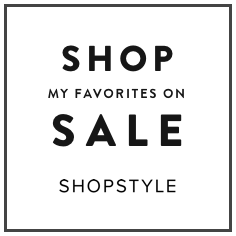 If you’re a cardholder, or if you have a generous friend who’s a cardholder (see what I mean here) then today is the day you get access to the famous #NSale. I woke up early and managed to do my must-have shopping before the site crashed, but it seems like everything is running smoothly again. Here’s what I’m lusting over and what I’ve already purchased. Hello from Rhode Island! Not only is this a great week because I’m still on vacation, but also because the Nordstrom Anniversary sale begins!! Here’s all the info you need to know + my hot tip to get early access without being a cardholder.